╰☆☾☼ THE SYZYGY COMMUNITY OF ISLANDS WELCOMES YOU ☀☽☆☄ ☆☾☼ Quick Links ☀☽☆ In World Land Board (visit Syzygy Now)Main Syzygy Website (see our main website)Available Land on Website (view a listing of currently available parcels)flickr (check out our photos) ☆☾☼ General Information☀☽☆ Are you interested in joining a unique community in Second Life? The Syzygy Islands are 9 mature sims (a 3x3 grid) with over 57% of the m2 allocated as protected common land (this is perfect for sailing and boating enthusiasts). Many residents have space themed areas high above, most connected with jump gates. If you desire privacy, there are elevations deemed private. And of course the grounds are ripe for development. We are not densely populated, with only a handful of Shareholders/residents on each sim. We Syzygians are a collection of builders, scripters, artists and educators who enjoy exploring the potential of virtual worlds. The Syzygy Islands are our palette for the creation of natural and unnatural spaces, a place where we can learn from one another and is our retreat from the hectic pace of real life. Socialize or live in privacy -- the choice is yours. We provide areas for building, collaborating, playing, holding events and more. We are a fun-loving, open-minded, and supportive group of individuals. We hold impromptu and scheduled events, inviting participation from fellow residents as they are inspired to do so. We are furry & alternative lifestyle friendly. We embrace diversity. We pride ourselves on offering a haven, peace and quiet (relatively -- admittedly, we sometimes grief our own region while playing with new toys ;-) ). ☆☾☼ Available Land ☀☽☆ ☼ SYZYGY HELIOS (mature full sim) SUPER SHARE #1 ☀ Located in a small valley between two mountain ranges, the view is outstanding from high above, looking out at the heart of Syzygy’s waterways. The land affords considerable privacy for those who desire or a point of attraction for those who wish to grace the land with an awe inspiring mountain top structure befitting the theme. Prims Total = 937 (905 usable) Land = 3,072 m2 Tier (per month) = USD$30 SLURLWebsite Link ☼ SYZYGY NYX (mature homestead sim) SUPER SHARE #1 ☀ A private lagoon on one side with Syzygy’s central waterways on the other side of a stunning parcel of land. Depending on your vision, land may be recut/resized and of course, terraformed. Do you wish more hills or a flatter tract of land? A slender landmass or wide? — it’s your vision and we are here to assist you make your dreams come true. Prims Total = 937 (905 usable) Land = 4,096 m2 Tier (per month) = USD$30 SLURLWebsite Link ☼ SYZYGY THEIA (mature homestead sim) ISLAND GOVERNOR SHARE #3 ☀ A peaceful Island of your own awaits you. Surrounded by calm waters and scenic views. Create your paradise on this Island offering varied terrain. Land may be recut and terraformed according to your wishes. Items on land may be retained, moved or returned – you decide. Prims Total = 1,032 (1,000 usable) Land = 6,144 m2 Tier (per month) = USD$40 SLURLWebsite Link ☼ SYZYGY EOS (mature homestead sim) GLORIOUS SHARE #1 ☀ At the heart of Syzygy’s 9 sim estate is a spectacular property – a Glorious share on Eos, where you will be the only resident on the entire sim. The lower land opens onto the central waterways of Syzygy, although affords sufficient privacy from the surrounding hills. The upper land is nestled within a valley, surrounded by mountain yet still offering a stunning view of Syzygy’s glorious land. Land may be recut and terraformed according to your wishes. Items on land may be retained, moved or returned – you decide. Prims Total = 1,874 (1,842 usable) Land = 8,192 m2 Tier (per month) = USD$55 SLURLWebsite Link ☆☾☼ More Details ☀☽☆ HOW TO BUY If you wish to own, buy the land (for the equivalent of the buy-in) and notify Samantha Glume. An appropriate payment box will be set up for tier payments.Objects currently on land are "for show", however, they may remain on the land if desired. If desired, notify Elric Anatine of your intent, buy the land, keep the auto-return at 0, set or deed the land to a group, invite Kulta Hannu to the group and she will set all objects to this group.Join the SL Group "Syzygy Island Community". Your role/tag will be adjusted to reflect your community status within 24 hours.--<>-- COMMUNITY NOTATIONS Core community members have owned land together since 2007. Syzygy formed in 2008.There is a covenant in place which serves as a guideline so that all residents may enjoy their virtual home.~57% of total region m2 are protected/common grounds, offering privacy for you and many spaces to enjoy & play.Expansive 9 region waterways, bays & inlets with prims available to enjoy them.7Seas Fishing available everywhere.Interested in a space theme -- connect to others via jump gates we provide. --<>-- YOUR LAND You have full parcel powers (i.e. edit terrain, avatar banning, media etc. ).Land can be recut (moved) and/or resized to your needs.Landscaper available to provide assistance.--<>-- ADDITIONAL SHAREHOLDER BENEFITS May use the Featured Shareholders Installation space on Syzygy Eos to curate an exhibition (~900 prims).Attend & contribute to meetings relating to the Community's operation (i.e. land development & direction, costs, covenant details etc. ).Vote on items relating to the Community's operation.May directly involve or influence the aesthetics and operation of the Community with creation (building, scripting etc.) and management skills.Receive special tier bonuses when holding multiple shares.Receive discounts on tier when available (i.e. Syzygy is at maximum capacity).May place a smallish/lowish prim commercial vendor for their creations or endeavours in the Community Centre.May allocate a segment of their lands to a business or commercial endeavour (no shops outwardly visible on the ground level, however).May place and keep items on Common Grounds in concert with the Common Groundskeeper.May utilize free prims on common lands for buildingMay resell their Share to receive a return on their buy in. ╰☆☾☼ THE SYZYGY COMMUNITY OF ISLANDS WELCOMES YOU ☀☽☆☄ ☆☾☼ Quick Links ☀☽☆ In World Land Board (visit Syzygy Now)Main Syzygy Website (see our main website)Available Land on Website (view a listing of currently available parcels)flickr (check out our photos) ☆☾☼ General Information☀☽☆ Are you interested in joining a unique community in Second Life? The Syzygy Islands are 9 mature sims (a 3x3 grid) with over 57% of the m2 allocated as protected common land (this is perfect for sailing and boating enthusiasts). Many residents have space themed areas high above, most connected with jump gates. If you desire privacy, there are elevations deemed private. And of course the grounds are ripe for development. We are not densely populated, with only a handful of Shareholders/residents on each sim. We Syzygians are a collection of builders, scripters, artists and educators who enjoy exploring the potential of virtual worlds. The Syzygy Islands are our palette for the creation of natural and unnatural spaces, a place where we can learn from one another and is our retreat from the hectic pace of real life. Socialize or live in privacy -- the choice is yours. We provide areas for building, collaborating, playing, holding events and more. We are a fun-loving, open-minded, and supportive group of individuals. We hold impromptu and scheduled events, inviting participation from fellow residents as they are inspired to do so. We are furry & alternative lifestyle friendly. We embrace diversity. We pride ourselves on offering a haven, peace and quiet (relatively -- admittedly, we sometimes grief our own region while playing with new toys ;-) ). ☆☾☼ Available Land ☀☽☆ ☼ SYZYGY HELIOS (mature full sim) SUPER SHARE #1 ☀ Located in a small valley between two mountain ranges, the view is outstanding from high above, looking out at the heart of Syzygy’s waterways. The land affords considerable privacy for those who desire or a point of attraction for those who wish to grace the land with an awe inspiring mountain top structure befitting the theme. Prims Total = 937 (905 usable) Land = 3,072 m2 Tier (per month) = USD$30 SLURLWebsite Link ☼ SYZYGY NYX (mature homestead sim) SUPER SHARE #1 ☀ A private lagoon on one side with Syzygy’s central waterways on the other side of a stunning parcel of land. Depending on your vision, land may be recut/resized and of course, terraformed. Do you wish more hills or a flatter tract of land? A slender landmass or wide? — it’s your vision and we are here to assist you make your dreams come true. Prims Total = 937 (905 usable) Land = 4,096 m2 Tier (per month) = USD$30 SLURLWebsite Link ☼ SYZYGY THEIA (mature homestead sim) ISLAND GOVERNOR SHARE #2 ☀ Carte blanche — choose your location and Island formation. Be Governor of your own little Island! Build on the ground or build up in space and become part of Syzygy’s space themed areas, complete with jump gates! Or create a little of both. You decide! Prims Total = 1,032 (1,000 usable) Land = 6,144 m2 Tier (per month) = USD$40 SLURLWebsite Link ☆☾☼ More Details ☀☽☆ HOW TO BUY If you wish to own, buy the land (for the equivalent of the buy-in) and notify Samantha Glume. An appropriate payment box will be set up for tier payments.Objects currently on land are "for show", however, they may remain on the land if desired. If desired, notify Elric Anatine of your intent, buy the land, keep the auto-return at 0, set or deed the land to a group, invite Kulta Hannu to the group and she will set all objects to this group.Join the SL Group "Syzygy Island Community". Your role/tag will be adjusted to reflect your community status within 24 hours.--<>-- COMMUNITY NOTATIONS Core community members have owned land together since 2007. Syzygy formed in 2008.There is a covenant in place which serves as a guideline so that all residents may enjoy their virtual home.~57% of total region m2 are protected/common grounds, offering privacy for you and many spaces to enjoy & play.Expansive 9 region waterways, bays & inlets with prims available to enjoy them.7Seas Fishing available everywhere.Interested in a space theme -- connect to others via jump gates we provide. --<>-- YOUR LAND You have full parcel powers (i.e. edit terrain, avatar banning, media etc. ).Land can be recut (moved) and/or resized to your needs.Landscaper available to provide assistance.--<>-- ADDITIONAL SHAREHOLDER BENEFITS May use the Featured Shareholders Installation space on Syzygy Eos to curate an exhibition (~900 prims).Attend & contribute to meetings relating to the Community's operation (i.e. land development & direction, costs, covenant details etc. ).Vote on items relating to the Community's operation.May directly involve or influence the aesthetics and operation of the Community with creation (building, scripting etc.) and management skills.Receive special tier bonuses when holding multiple shares.Receive discounts on tier when available (i.e. Syzygy is at maximum capacity).May place a smallish/lowish prim commercial vendor for their creations or endeavours in the Community Centre.May allocate a segment of their lands to a business or commercial endeavour (no shops outwardly visible on the ground level, however).May place and keep items on Common Grounds in concert with the Common Groundskeeper.May utilize free prims on common lands for buildingMay resell their Share to receive a return on their buy in. ╰☆☾☼ THE SYZYGY COMMUNITY OF ISLANDS WELCOMES YOU ☀☽☆☄ ☆☾☼ Quick Links ☀☽☆ In World Land Board (visit Syzygy Now)Main Syzygy Website (see our main website)Available Land on Website (view a listing of currently available parcels)flickr (check out our photos) ☆☾☼ General Information☀☽☆ Are you interested in joining a unique community in Second Life? The Syzygy Islands are 9 mature sims (a 3x3 grid) with over 57% of the m2 allocated as protected common land (this is perfect for sailing and boating enthusiasts). Many residents have space themed areas high above, most connected with jump gates. If you desire privacy, there are elevations deemed private. And of course the grounds are ripe for development. We are not densely populated, with only a handful of Shareholders/residents on each sim. We Syzygians are a collection of builders, scripters, artists and educators who enjoy exploring the potential of virtual worlds. The Syzygy Islands are our palette for the creation of natural and unnatural spaces, a place where we can learn from one another and is our retreat from the hectic pace of real life. Socialize or live in privacy -- the choice is yours. We provide areas for building, collaborating, playing, holding events and more. We are a fun-loving, open-minded, and supportive group of individuals. We hold impromptu and scheduled events, inviting participation from fellow residents as they are inspired to do so. We are furry & alternative lifestyle friendly. We embrace diversity. We pride ourselves on offering a haven, peace and quiet (relatively -- admittedly, we sometimes grief our own region while playing with new toys ;-) ). ☆☾☼ Available Land ☀☽☆ ☼ SYZYGY HELIOS (mature full sim) SUPER SHARE #1 ☀ Located in a small valley between two mountain ranges, the view is outstanding from high above, looking out at the heart of Syzygy’s waterways. The land affords considerable privacy for those who desire or a point of attraction for those who wish to grace the land with an awe inspiring mountain top structure befitting the theme. Prims Total = 937 (905 usable) Land = 3,072 m2 Tier (per month) = USD$30 SLURLWebsite Link ☼ SYZYGY PYXIS (mature homestead sim) SUPER SHARE #1 ☀ Extremely private and nestled in its own little cove, this land is ideal for those who truly wish to “get away from it all”. Located at the furthest South-West corner of Syzygy’s 9 sim region, and perfect for boaters. Prims Total = 937 (905 usable) Land = 4,096 m2 Tier (per month) = USD$30 SLURLWebsite Link ☼ SYZYGY THEIA (mature homestead sim) ISLAND GOVERNOR SHARE #1 ☀ Carte blanche — choose your location and Island formation. Be Governor of your own little Island! Build on the ground or build up in space and become part of Syzygy’s space themed areas, complete with jump gates! Or create a little of both. You decide! Prims Total = 1,032 (1,000 usable) Land = 6,144 m2 Tier (per month) = USD$40 SLURLWebsite Link ☼ SYZYGY THEIA (mature homestead sim) ISLAND GOVERNOR SHARE #2 ☀ Carte blanche — choose your location and Island formation. Be Governor of your own little Island! Build on the ground or build up in space and become part of Syzygy’s space themed areas, complete with jump gates! Or create a little of both. You decide! Prims Total = 1,032 (1,000 usable) Land = 6,144 m2 Tier (per month) = USD$40 SLURLWebsite Link ☆☾☼ More Details ☀☽☆ HOW TO BUY If you wish to own, buy the land (for the equivalent of the buy-in) and notify Samantha Glume. An appropriate payment box will be set up for tier payments.Objects currently on land are "for show", however, they may remain on the land if desired. If desired, notify Elric Anatine of your intent, buy the land, keep the auto-return at 0, set or deed the land to a group, invite Kulta Hannu to the group and she will set all objects to this group.Join the SL Group "Syzygy Island Community". Your role/tag will be adjusted to reflect your community status within 24 hours.--<>-- COMMUNITY NOTATIONS Core community members have owned land together since 2007. Syzygy formed in 2008.There is a covenant in place which serves as a guideline so that all residents may enjoy their virtual home.~57% of total region m2 are protected/common grounds, offering privacy for you and many spaces to enjoy & play.Expansive 9 region waterways, bays & inlets with prims available to enjoy them.7Seas Fishing available everywhere.Interested in a space theme -- connect to others via jump gates we provide. --<>-- YOUR LAND You have full parcel powers (i.e. edit terrain, avatar banning, media etc. ).Land can be recut (moved) and/or resized to your needs.Landscaper available to provide assistance.--<>-- ADDITIONAL SHAREHOLDER BENEFITS May use the Featured Shareholders Installation space on Syzygy Eos to curate an exhibition (~900 prims).Attend & contribute to meetings relating to the Community's operation (i.e. land development & direction, costs, covenant details etc. ).Vote on items relating to the Community's operation.May directly involve or influence the aesthetics and operation of the Community with creation (building, scripting etc.) and management skills.Receive special tier bonuses when holding multiple shares.Receive discounts on tier when available (i.e. Syzygy is at maximum capacity).May place a smallish/lowish prim commercial vendor for their creations or endeavours in the Community Centre.May allocate a segment of their lands to a business or commercial endeavour (no shops outwardly visible on the ground level, however).May place and keep items on Common Grounds in concert with the Common Groundskeeper.May utilize free prims on common lands for buildingMay resell their Share to receive a return on their buy in. I was rather hoping to avoid contacting LL by phone or using their sales or press email for such a minor issue. However, they do leave me with little choice. Does Second Life work with Dragon NaturallySpeaking Software? I realize this is an old post, but the information may be useful to those performing a search. I've begun a more detailed tutorial/information area on the web here: http://www.syzygycommunity.com/support/using-dragon-in-second-life/ I will be adding sub pages to this section over the next month or so. This is based on the Wiki I began a while ago here: http://wiki.secondlife.com/wiki/Dragon. Also, I will be presenting at Virtual Ability in about a month's time: http://www.syzygycommunity.com/events/26/introduction-to-using-dragon-naturallyspeaking-in-second-life%c2%ae/ http://www.syzygycommunity.com/events/27/advanced-use-of-dragon-naturallyspeaking-in-second-life%c2%ae/ Cheers! Darren Scorpio wrote: DAZ 3D is offering their DAZ Studio 4 Pro which is normally a $400USD software for free till the end of April. Daz in my opinion is a more powerful and easier to use piece of software to create poses and animations for SL. Here is their website ---> Fantastic. Thank you very much, Darren. I so appreciate this. Imnotgoing Sideways wrote: There hasn't been an addition of extra joints. Animations are made no differently than they've been done before. () There has been an addition to a couple attachment points. Thing is, they always existed, just went unutilized. Those are Neck and Avatar Center (That part of you which sits still while dances move you all over and visually through things). () Rigged mesh does have the capability to push joints around like deformer animations, but, nothing is actually added or removed. ()y Thank you, Immy! Medhue Simoni wrote: There are no new joints. The only thing that changed was that we can create rigged mesh, which incorporate the standard joints. Qavimator still works as it always has. I personally use SLat, Daz. Poser, Blender, and Qavi. Hello, Medhue (I've often enjoyed your posts and remember your lands from way back). Thank you for the clarification. Irene Muni wrote: Two side notes: 1) Interesting thread about DAZ: http://community.secondlife.com/t5/Animation-Forum/DAZ-Studio-4-0-SL-compatible/m-p/1304605#M850 2) Eric, your signature goes to a "unable to locate region Alkahest" Thank you, Irene. 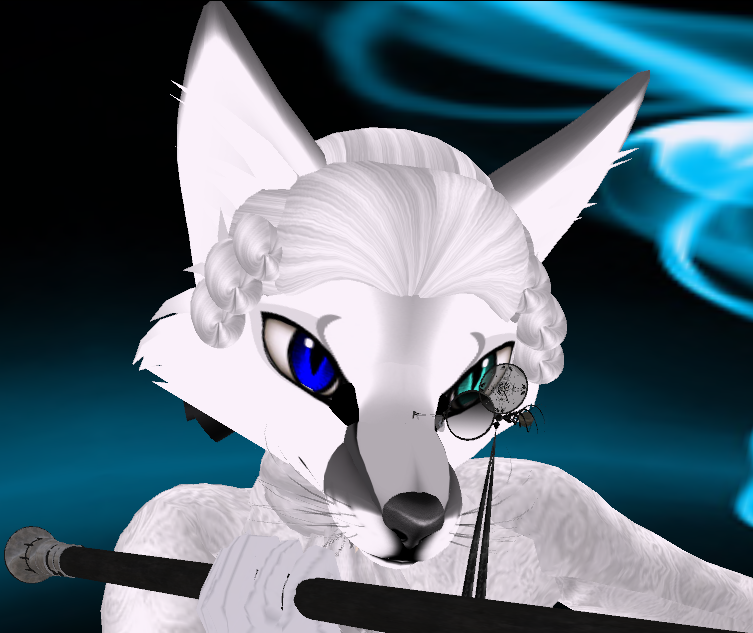 And updated my sig with new SLURL (/me facepalms). Luc Starsider wrote: You may not be able to add joints or bones to the avatar skeleton, but you can scale and move the ones that you have to work with. (I don't think the others mentioned this.) - Luc - That sounds interesting, Luc! Thank you.